CCIAS, in cooperation with the European Union delegation, and South Innovation Center (South BIC) launched Agro Invest Exhibition and Conference. In his speech Mr. Saleh declared that the organization of this exhibition is an initiative taken by the Chamber to draw attention to the productive sectors in South Lebanon, in addition to mobilize the market cycle, and to provide an atmosphere of relative vitality and satisfaction for our lives and our businesses. CCIAS and in cooperation with Lebanese Federation and IDAL organized a conference for "promoting Innovative Investments in Agro - Industry" that was held in parallel to the opening of Agro Invest Exhibition, a co-funded project by EU. CCIAS president Saleh received a delegation from the Australian Lebanese chamber of commerce. In his speech President Saleh declared that we are expecting an economic growth between 2- 3 percent as a result of Central Bank initiative to revitalize the stagnant economy by granting $1.46 billion in credit facilities to commercial banks to provide subsidized loans for investors in real estate and all productive sectors. He also expressed his hope that meetings with the Lebanese diaspora in Australia will result in agreements and joint ventures for the mutual benefit of the two countries. In his turn the President of Australian Lebanese chamber Mr. Joseph Khattar declared that they rely on this visit to establish a network of economic relations between Lebanon and Australia. The two parties discussed possible means of cooperation between the two chambers. President Saleh meets Dr. Osama Saad in the presence of a number of board members . The meeting tackled the development projects for Saida city. Both parties welcomed all initiatives that serve to revive the economic sectors and improve the living conditions of the citizens. President Saleh meets the Phillipinian Ambassador Mrs. Roise in the presence of vice president Eng. Omar Dandashli. During the meeting the participants discussed the current economic relations between Lebanon and Phillipines, as well as potential investments existing in both countries. Opinions were exchanged regarding best practices for closer cooperation between the chamber and the Embassy to render better common services for businessmen and investors. President Saleh met the commercial consul Ms. Tasako at the chamber in the presence of the chamber's treasurer Mr.Samir Kotob. discussions focused on the development of bilateral trade and economic relations between the two countries. CCIAS president Saleh presided a meeting with the representative of Danash contracting compay to disuss progress in infra structure works at Saida commercial center and its negative effect on the economic sector. President of Saida commerical Association Ali Cahrif , CCIAS vice president Omar Dandashli and CCIAS treasurer Samir Kotob attended the meeting in addition to a number of shop owners..
President Saleh attended the 115 session for the Arab Chamber Union that was held in Doha, Qatar. Strengthening economic relations were discussed during a meeting between CCIAS President Mohamad Saleh and the First Secretary at the Embassy of Ukraine Oleksandr Vdovyn who headed a delegation from Lebanese - Ukraine Friendship Association. President Saleh meets the Charge d'affaires at the Indian Embassy Mr. SunilKumar , in the presence of Mr. Ahmad Ansari, representative of Lebanese Indian Businessmen Forum , possible channels to activate trade cooperation between the two countries. The Ambassador of Poland to Lebanon, Mr. Yovitch Pozeek visited CCIAS and discussed with president Saleh, in the presence of vice president, Kassem Khalife, and MOD Ibrahim Tirani and Kamel Shraiteh, economic relations between Lebanon and Poland. Minister of Industry Haj Hassan tackled industrial issues with South industrialists at Saida Chamber in the presence of president Mohamad Saleh and members of the Board. President Saleh and vice presidents Kassem Khalefe and Omar Dandachli , and treasurer Samir Kotob attended the Investment forum for Iraq and Kurdistan region that was held in Arbil and organized by the Union of arab chambers. 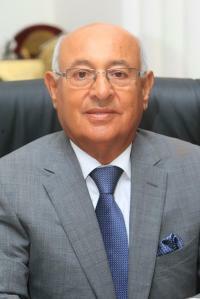 Saida Chamber of Commerce, Industry and Agriculture announced the inauguration of its office in Tyre. H.E. Nabih Berri, President of the House of speakers, represented by Dr. Kabalan Kabalan, Chairman of the Council of the South, inaugurated CCIAS office at a ceremony held at Rest house in Tyre. اMr. Saleh discusses with Indian Ambassador Mrs. Nayar the economic relations between Lebanon and India in the areas of trade, industry and agriculture. Within the frame of strengthening trade and investment relations between India and Lebanon, Saida chamber hosted Indian delegation members from different economic sectors and organized B2B meetings with Southern counterparts. A seminar on the role of SME in development was organized at Saida chamber in cooperation with Arab Bank Union. It was attended by representatives of economic organizations bank managers and businessmen. The seminar includes two workshops one for South Innovation Center (South BIC) and the other for KAFALT. Commercial attache at the Chinese embassy in Beirut , Mrs. viingling, meets chamber's president Saleh in the presence of his vice president Dandashli , board members and southern industrialists. Meetiing discussions revolved on enhancing economic relations between the two countries , and transfer know how in the industrial sector. In the frame for the development of the agricultural sector in the South area, CCIAS organized a workshop in cooperation with UB France office in Beirut for the representative of agriculture sector in South and Nabatieh Mohafazats, in the presence of chamber's president Mohamad Saleh and the commercial counselor at the Embassy of France in Beirut. CCIAS in cooperation with UNB organized a seminar on quality management for member company . 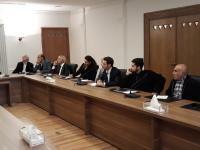 The Chamber of Commerce, Industry and Agriculture in Saida and South Lebanon started to develop its IT system and to expand the workflow of automated processes at the chamber’s offices in Nabatieh and Sour. Discussions between the Ambassador and President Saleh focused on the development of economic relations between the Lebanese businessmen and their Romanian counterparts. The activity falls within the framework of AFKAR program III that aims at consolidating networking and coordination capacities between the civil society and the public administration in their efforts to improve technical education and training conditions in Lebanon. The Arab Union of Chambers organized the 6th. Conference for businessmen and investors in Cairo. The conference presented a great opportunity to expand networks between Arab and Egyptian business partners. The Ghorfa Arab-German Chamber of Commerce and Industry organized the 5th Arab-German Energy Forum in Berlin. The forum aims to create new synergies and strengthen existing Arab-German partnerships in the energy sector. Renowned experts of the industry and politics discussed current trends and potential cooperation possibilities on: Electricity, Water and Power, Frameworks and Financing, Energy Efficiency, Education and Know-How Transfer as well as Energy Mix and Renewable Energies. Saida chamber organized a ceremony to announce the names of winners at South Innovative Projects Awards that was launched in partnership with Audi Bank. The 118th. round for the Arab chambers' Union was held in Riyadh. President Saleh presides the Lebanese delegation . In the frame of promoting the culture of green investments, the chamber in cooperation with SouthBIC and Baraka Bank the green boost conference . The Chamber in collaboration with South BIC and EU organized the Mom preneurs exhibition . The inaiguration was held under the patronage HE Deputy Bahia Hariri in presence of HE EU Ambassador Angelina Eichorist and the chamber's president Mohamad Saleh. Several NGOs from all over Lebanon participated in the exhibition and displayed the products made by Lebanese women. The Chamber of Commerce, Industry & Agriculture of Saida & South of Lebanon launched a series of awareness raising workshops on Food safety for different food production sectors in South Lebanon. Based on the food safety problems that Lebanon is facing, the principle aim of the chamber's initiative is to enhance food Industrialists to improve their working conditions and environment and to build the capacity of the their workers for applying Good Manufacturing and Good Hygiene practices . Till date, the Agro-Food Development Centre & Laboratories (AFDL) at the chamber organized four workshops for 250 beneficiaries engaged in the business of restaurants, bakery ,sweets , dairy Products and bottled water. The workshops focused on critical points and specific subjects related to each targeted food and water sectors. The awareness material addressed issues including but not limited to laboratory testing, how to ensure safety food production, how to prevent contamination, food diseases, Personnel hygiene, bacteria in food and water and how to be conform to Lebanese standards issued by Libnor. President Saleh and GD of IDAL met and discussed how to activate channels of cooperation between the two organizations. CCIAS organized in cooperation with the Arab woman TV and within the economic dialogue program presented by Journalist Ghada Ballout Zaitoune , a seminar on the role of the chambers in supporting rural development. 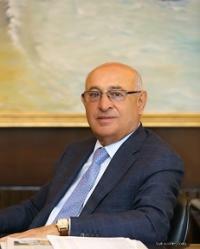 The key speakers were former Minister of finance Dr. r Dimianous Kattar and Chamber's president Mr. Mohamad Saleh. As the demand for rural goods and services continues to grow and opportunities continue to expand, rural people can enhance and diversify their incomes provided that the right policies and investments are in place. Local communities, along with development organizations, must also play a leading role in increasing sustainability, innovation and scaling up of best practices. From this perspective, a seminar was held at Saida chamber to highlight the role of the chambers of commerce, Industry and Agriculture in supporting rural development. The event brought together a range of rural community groups in the presence of mayors, the chamber president and board members.The organization of the event was in collaboration with the Arab Woman TV within the series of economic dialogue, represented by Journalist Ghada Ballout Zaitoun and hosted as key speakers Former Minister of Finance Dr. Dimyanos Kattar and CCIAS president Mr. Mohamad Saleh. The meeting between the Chamber's board members and the Lebanese business men Council tackled economic issues and possible mechanism to strengthen cooperation. وسط حضور مميز للفاعليات الإقتصادية في صيدا والجنوب وفعاليات المجتع المدني وبالتعاون مع وزارة الإقتصاد والتجارة ممثلة بالمدير العام السيدة عليا عباس، استضافت غرفة صيدا والجنوب ندوة إعلامية خاصة في برنامج الحوار الإقتصادي/ فضائيات المرأة العربية الذي تعده وتقدمه الزميلة غادة بلوط زيتون تحت عنوان وزارة الإقتصاد والتجارة بالتكامل مع غرفة صيدا والجنوب معاً لتذليل العقبات أمام المنتج اللبناني في الاسواق العربية والعالمية. Mr. Ibrahim Tirani, MOB , represents the chamber at the Turkish - Arab Forum for Design and Furniture that was held in Izmir and discussed with delegations the possibility of developing mutual cooperation. The chamber in cooperation with the Ministry of agriculture and UNDP launched a program that aims to support rural women especially those involved in agriculture sector. As a component of the program a competition will be organized for the development and organization of women cooperatives. CCIAS hosted a workshop to support the National Committee for alimentary code in Lebanon. speeches and interventions focused on the importance and the advantage of completing and applying a code to ensure food safety and increase food exports. Fully aware of its role to support initiatives that aim for social and economic development in the its region, the Chamber of Commerce, Industry and Agriculture of Saida and South Lebanon hosted on the 1st. of October the South regional workshop for the socioeconomic committees formed at a number of municipalities as a component of a United Nations Development Program (UNDP). The formation of those committees aims to support municipalities in strengthening social and economic stability through developing the role of social actors for encouraging local residents to present their innovative ideas. At an initial stage of the project, the committees’ members, formed in different regions (South, North and Bekaa), have completed technical trainings to organize social innovative competitions and to build their capacity to provide technical support for winners at the competitions to develop their ideas into businesses. The workshop offered an opportunity for the committees to introduce their work and achievements till date and to discuss possible mechanism of collaboration with financial institutions. A round table organized by IDAL representative held at the chamber to explain the new mechanism for facilitating maritime export agriculture and industrial produce. within the framework of encouraging the revitalization of women cooperatives, especially in the agro-food sector, the Chamber of Commerce, Industry and agriculture in Saida and South Lebanon launched the project of, "Supporting rural Women's Agroo-food Cooperatives in South Lebanon" that funded by the government of Finland within the framework of United Nations Development Program. In the frame of a project to develop the capacity of Lebanon in the works of the codex alimentarius, a workshop was organized at Saida chamber to raise awareness of concerning stakeholders of codex alimentarius and national codex structure. 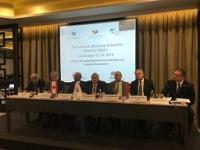 “The Lebanese pound is stable and there is no monetary crisis in Lebanon; also, there is no reason for rating agencies to downgrade the outlook of Lebanon,” BDL’s First Vice Governor Raed Charafeddine said during a meeting held by the Chamber of Commerce, Industry and Agriculture in Saida with bankers and businessmen. The Chamber of Commerce, Industry and Agriculture of Saida and South Lebanon (CCIAS) in cooperation with the Lebanese Training Center for Food Safety organized a workshop about “Food Safety” for participants from restaurants, cafes and food business establishments located in the south region. Fifty participants from restaurants, cafes and food business establishments located in the south region attend the training. The one day Food Safety workshop that was conducted by Boecker Co., provided the basic knowledge of food safety procedures according to food safety manual that is prepared by the British Chartered Institute of Environmental Health (CIEH). The workshop was inaugurated by Mrs. Rana Sayed, Assistant General Director at the Chamber. In her opening speech, Mrs. Sayed said “Food Safety is a national responsibility. Food safety incidents can have a significant impact on public health, agro-food business, food security and public confidence in the food supply. Therefore we shouldn’t neglect the consumers’ right to expect that the available food on domestic markets is safe and of high quality.” She added “The workshop is designed and implemented as part of ongoing national efforts between ministries of health, economy, tourism and industry and chambers to support the enhancement of food control systems in Lebanon”. Registration for food safety workshops level I and II for year 2016 remains open at the chamber. The Federation of Chambers of Commerce, Industry and Agriculture in Lebanon as well as the four Lebanese chambers of commerce are committed to enhance vocational education and training in order to meet the needs and requirements of the economy and the labor market. In continuation of their efforts to develop the technical education curriculum, a workshop was held at Saida Chamber to validate the draft of curriculum for industrial mechanics after a review process that took place last year. The workshop gathered expert workers from companies involved in the sector of industrial mechanism, vocational school system (TVET) experts and Chambers’ facilitators. refer to ar. version for more info. Saleh meets representative of Chemonics Intl. 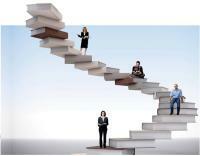 The office of regional development and external programs at Université Saint-Joseph de Beyrouth offers its training program in Saida. In collaboration with Universite Saint Joseph de Beyrouth / Campus du Liban Sud (USJ/CLS), the chamber of commerce, industry and agriculture in Sidon and South Lebanon invites you to participate in the training programs about “Marketing and Communication” that will be held during April 2019.